In this live session with guest host Aurore Dimopoulos, we will explore the 2D Game Kit project from Unity Technologies. 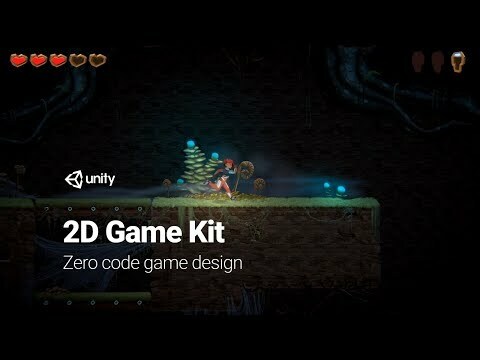 2D Game Kit is designed to allow new users to explore working in Unity and making games without first learning how to code in a friendly drag and drop environment. The kit consists of a vertical slice of a 2D platformer game complete with art, sound and interactive behavior to explore. In this session we cover how to teleport between levels and how to display custom text within the dialog boxes.